Anticholinergics and the Elderly? More Experts Say Proceed with Caution! This statement is part of AUGS Guidance Committee brief statement entitled “AUGS Consensus Statement: Association of Anticholinergic Medication Use and Cognition in Women With Overactive Bladder” published in the May/June issue of Female Pelvic Medicine & Reconstructive Surgery. But AUGS is not the first group to warn against drugs in older patients. 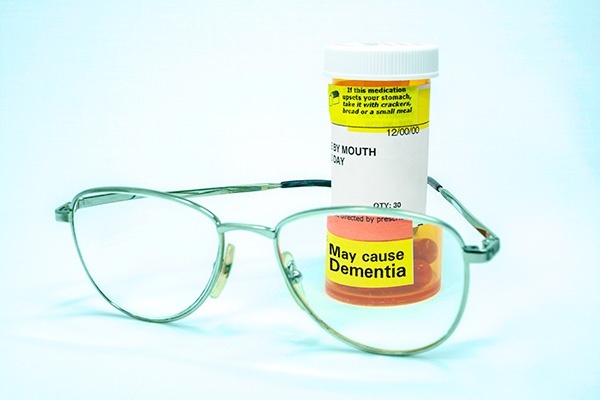 In the 2012 AGS Beers Criteria List for Potentially Inappropriate Medication Use in Older Adults, the American Geriatric Society recommends avoiding or using caution before prescribing anticholinergics to elderly patients citing the risk of confusion among other side-effects as potential problems as patients advance in age. Are Bladder Medications Overprescribed in the Elderly? In March, a presentation at the European Association of Urology Annual Meeting in London, raised questions about the number of patients prescribed antimuscarinics in the U.S. While the data is only considered preliminary, of the 12.7 million new antimuscarinic prescriptions between 2006 and 2012, an overwhelming percentage were prescribed to patients who were elderly (55.2%), female (61.7%), white (61.7%), and Medicare insured (84.1%). The FDA recommends monitoring patients taking the drug for signs of central nervous system (CNS) problems, but the study found only 9% of those who took the drug underwent a neurological exam, though it is unclear whether patients were monitored for neurologic problems in other ways. Even as new advances in drug therapy, such as the β3-agonist, show superior 12-month adherence rates over antimuscarinics, 70% of patients still dropped the drug before one year, leaving a significant number of patients searching for other treatment options. Recently, a poster presented at the 2017 American Urological Association Annual Meeting by Dena Moskowitz from the Virginia Mason Center highlighted the power of specialty and subspecialty groups to expand penetration of 3rd-line therapy beyond the 5% that’s typically reported. The AUA currently recognizes three 3rd line therapies for OAB patients who fail drug therapy. OnabotulinumtoxinA and sacral nerve stimulation both have the potential for severe risks and side-effects, whereas PTNS (percutaneous tibial nerve stimulation) has no severe side-effects. PTNS therapy performed with Urgent PC Neuromodulation system has been proven to be effective in over 50 publications with up to 80% of patients responding to treatment. In comparison to extended-release tolterodine, 79.5% of Urgent PC patients reported cure or improvement in their symptoms, but only 54.8% of tolterodine patients reported the same. In objective improvements, Urgent PC was as effective as tolterodine for reductions in urinary frequency, urge incontinence, urge severity and nighttime voids. Urgent PC is indicated for the treatment of Overactive Bladder and associated symptoms of urinary urgency, urinary frequency and urge incontinence. Treatment with Urgent PC is contraindicated for patients with pacemakers or implantable defibrillators, patients prone to excessive bleeding, patients with nerve damage that could impact either percutaneous tibial nerve or pelvic floor function or patients who are pregnant or planning to become pregnant during the duration of the treatment. Most patients don't experience side-effects. If side-effects occur, they are typically temporary and include mild pain and skin inflammation at or near the stimulation site. Caution: Federal law (USA) restricts this device to sale by or on the order of a physician. For complete instructions for use, storage, warnings, indications, contraindications, precautions, adverse reactions and disclaimer of warranties, please refer to the insert accompanying each product or online at www.cogentixmedical.com. Models are for illustrative purpose only. Urgent is a registered trademark of Cogentix Medical. © 2017 Cogentix Medical. All rights reserved.